International Museum Day 2018 by ICOM // "Hyperconnected museums: New approaches, new publics"
Atopos cvc participated in the 2018 International Museum Day organized by ICOM on Friday May 18th. Each year‘s International Museum Day theme was proposed by ICOM’s network and aimed to promote museum issues within society. In 2018 the event celebrated the ‘Hyperconnected museums: New approaches, new publics’ theme. During the International museum Day Atopos was open from 20:00 to 22:00 with the #TextMe_Lab programme. What is the role of memes, humorous image+text assemblages in social media, and grassroots content production in the era of post-truth? 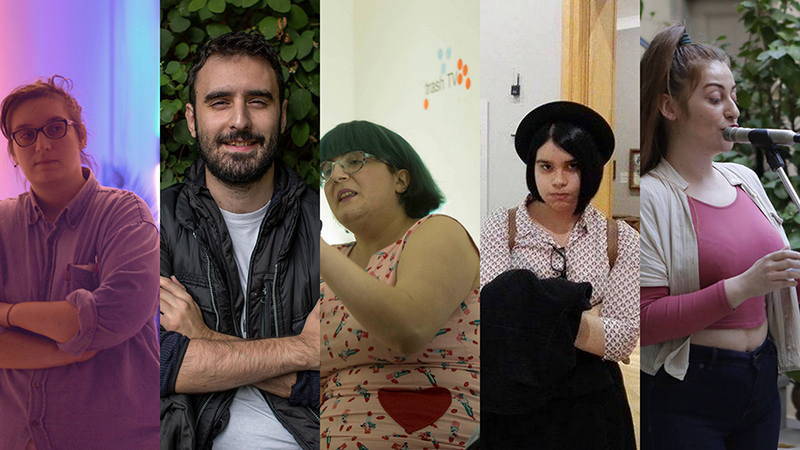 From 4chan and the rise of the American alt-right to the use of memes in queer and feminist web communities, five speakers attempt a historical review and analysis of the specific features of online communication in order to understand their political connotations and influence. In an attempt to decode memes as millennial narratives, the speakers will attempt a first mapping of the field. Starting from the great ideological battles of the time, they will look at ways in which digital propaganda mechanisms of rival camps share aesthetic languages and channels despite completely different goals and political contexts. The fact, for example, that Vaporwave was an aesthetics easily assimilable both by feminist memes and by alt-right pages, or the similarity of Marxist instagram memes with pages propagating racist theories of white supremacy open the debate on how media become ideology and ideologies create their own media. Recognizing memes as a global phenomenon, the participants will also discuss how these are translated into the Greek context and will also speak through their experience in creating, promoting and creating communities through memes. The problem of online puns will also be discussed. Memes and online discourse in Greece is the fourth event of #TextMe_Lab. The Lab aspires to transform ATOPOS space into a research centre with a series of lectures, discussions, workshops, performances and small exhibitions. All events focus on hybrid languages arising at the intersection of text and other artistic media. Programming themes include: 20th century visual poetry, spoken word performance, the relation between poetry and sound art, and contemporary linguistic phenomena, such as internet pop-culture and new media, and the relation between words and screens. Margarita Athanasiou is a visual artist and writer. She graduated from the Slade School of Fine Arts, University College London and produces creative work mostly online. Her practice revolves around online narrativity and uses humour, popular culture and absurdity as her main building blocks. Her first collection of poems will be published in 2018 by Dolce. Sophia Apostolidou lives and works in Berlin. She studied Literature at the Aristotle University of Thessaloniki and Cultural Studies at the University of Amsterdam where she is a PhD candidate. She is a founding member of the Political Fatties group and organises events and workshops in Greece, Holland and Germany, aiming at exploring the political, academic, artistic and activist extensions of fatness. She is also a founding member of the queer music label Fytini, the online poetry forum Τα Τέτχοια (The Such) and the feminist band Τα Τρωκτικά (The Rodents). CloClo constantly posts online, loves greeklish and runs the meme page “ta ekana thalassa” (“I messed up”) and “xena pictures out of context” (“unrelated pics out of context”). Its name comes from the French musician Claude François. As it told us, CloClo was met with a wet and sudden death while changing a lightbulb in the bathroom, which might not have been the best thing to do. Foivos Dousos is a graduate of psychology with postgraduate studies in psychoanalysis at Birkbeck College, University of London. He is currently completing his doctoral dissertation on New Media Poetics at Royal Holloway, University of London. His research is influenced by psychoanalytic theory, psychosocial studies and post-structuralism. Alongside his academic research, he participates as a performer and organiser of events in the artistic duo of FYTA. Vassiliki Lazaridou was born and raised in Thessaloniki. She studied Cultural Technology and Communication at the University of the Aegean and Film Theory at Paul Valery – Montpellier 3, France. Among her research interests are media theory, communication, digital cultures, new media, fan theory, digital anthropology, gender studies, etc. She is currently completing the postgraduate program “Communication and Rhetoric of the Media” at the Department of Communication, Media and Culture of the Panteion University. Her diploma thesis is titled “Contemporary Politics and Fan Culture in the Age of Media Society: USA 2016”.